'home is where i wanna be, pick me up and turn me round.... i guess i must be having fun.' - words & music by talking heads. to me, home is a concept, a feeling, one i've been longing for since before i was born. best photos have been made from home (me seriously biased), but there's something about home, the bliss, the velveteen. can't ever wait to get home, throw on some slippers, dive into a soft sweater, and drift off. home, after all, is day dreaming with eyes closed. home for jane's corner view, don's heavenly pick of the week, hosted by francesca. "but there's something about home, the bliss, the velveteen"
I really like that first photo. Quiet and dramatic at the same time. Dreamy, yes. I notice doors for some reason. The door shown has wonderful character--love the doornob and the key. The light looks like a huge star beckoning us into your '"bliss, the velveteen"--wonderful. can I come in for tea?! there's something magical when light streams in our homes this way. i'm missing my home for all of your same reasons. 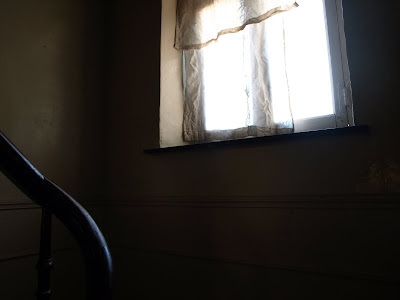 but as our earth is rounding the sun, here in the new orleans house we suddenly have this amazing afternoon light that shines through old wavy windows, producing watery shadows on the wall and beams of light that the kids run through. Nice photo's taken of your home, also the words are touching! Love the Heads and that song. Glad someone else picked up on the possibilities of home is where the . . . I love how light welcomes you in your home! A magic moment captured by camera! yes jgy is right! so proustian! lovely pics. i'm really enjoying getting to know nadine the photographer/poetess. I like your first picture, beautiful light. Yes, there is something wonderful about being in ones home. The feeling or ability to be just oneself. No pretention. 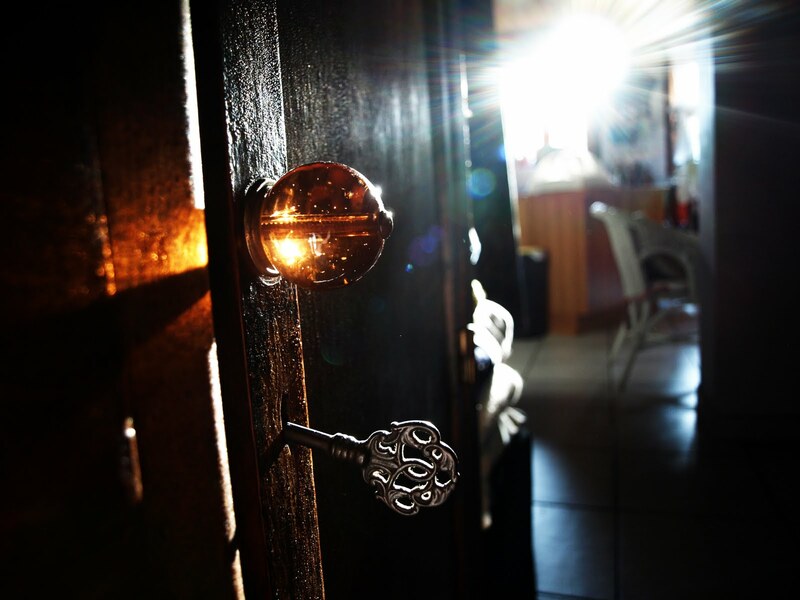 Love the door knob and key. Great photo! What a striking first photo! You described that special feeling of being home so well. oh my what an atmosphere ! i love love these two shots !! well said (written) :) love the accompanying pics too. You picked some lovely photos this week. Love the banner too. New? My squirrels say cheers to you! They had a squirrel party today! Hello the photo above the settee is not mine, it's from a friend photographer named David Giancatarina, i adore it, it's a tennis court in India after rain. I couldn't agree with you more. Beautiful images. Your door knob is beautiful. Yes, there's something about home. The smell, the coffee, the sounds, the peace. The light against the dark in your photos exquisite. Love your window Momma. I wish you could sleep you poor thing. Your so funny the man at church that takes pictures took 8 of us as a family for the wall and he came over and said we need to talk whats with you and pictures. I said thank you you confirm how bad I look in them. there are worse things in life....your home is looking great, whats left? Did you get the hole filled? You just have pefectly describe why I love being home so much! love the pictures,,wow what a doorknob. love the cozy home nostalgia. do kids feel the same way i wonder? a plus for homeschooling? how perfect! and i love the images you chose. happy sunday dear! beautiful!! you photos shows what home means! I adore that key, and the door, and the flash of light just behind it - the photo looks magical, as if something wonderful is waiting behind that door. And I just love your description of home as a "feeling".